On Sunday August 12 in the Lake Sunapee region of Southern New Hampshire, SIX03 Endurance’s 2nd Annual Ragged 50K will host the first-ever ultra-distance trail running national championship in New England. 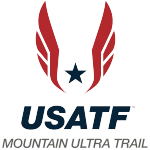 This strong mountain and trail running region has hosted more than a dozen USA Track & Field (USATF) Mountain Running Championships at iconic races like Mt. Washington, Loon Mountain and Mt. Cranmore in the Northern part of the state. Located 50 miles North of the Massachusetts border, Lake Sunapee is encircled by rough, technical trails crossing Mount Sunapee (2743′), Mount Keasarge (2936′) and Ragged Mountain (2296′). The 50 km point-to-point championship course has 6300′ of vertical gain & loss en-route to the finish at Ragged Mountain. In addition to hosting a USATF Championship, the Ragged 50K will also be the first of three selection races for the 2019 U.S. Trail Team with the top man & woman earning automatic team spots (must be USATF members). The U.S. Trail Team will compete at the 2019 Trail World Championships in Mirandha do Corvo, Portugal on June 8. About one third of the 125 pre-registered Ragged runners are members of USA Track & Field (USATF). In addition to spots of the U.S. 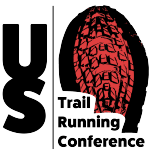 Trail Team, these athletes will be competing for $5500 in prize money, podium spots, USATF masters’ age-group medals and of course bragging rights. Nearly collapsing at the finish, Kasie gave 110% on her way to finishing 4th at the Loon Mountain Race. A strong favorite in the women’s race is 2011 World Mountain Running Champion and Huntington, Vermont resident Kasie Enman. Earlier this month Kasie finished 4th at the USATF Mountain Running Championships and will represent the U.S. at the World Mountain Running Championships in Andorra on September 16. Favored for a men’s podium spot, Chris Raulli (Davidson, NC) finished 2nd at the 2018 USATF 50 km Road Championships this past March at Caumsett State Park in New York. Chris was also a member of the 2018 U.S. Trail Team and raced in the Trail World Championship this past May in Spain. Chris at the 2018 Trail World Championships. Challenging Kasie in the women’s race will be Sarah Keyes (Saranac Lake, NY) who will be racing the Ragged 50K just 22 days after finishing 2nd at the USATF 50 Mile Trail Championships in Ithaca, NY. Tara Richardson will be flying in from Glenwood Springs, Colorado having just won the Under Armour Mountain Running 50K race at Copper Mountain. Tara also has 2018 victories at the Collegiate Peaks Trail Run and Desert Rats Trail Running Festival. Challenging Chris in the men’s race will be Aaron Saft (Mills River, NC) who will also be racing for the masters 40-44 age group championship. Aaron recently won the Quest for the Crest 50K in Burnsville, North Carolina and the Cloudland Canyon 50K in Rising Fawn, Georgia. The biggest, hardest climb up Ragged Mountain comes at the end of the 50K. A strong husband/wife trail running duo from Seattle, Washington – Trisha & Uli Steidl – are never far from the front of any race they run. Trisha has experience at international mountain & trail races while Uli previously represented Germany at the World Mountain Running Trophy where he finished 3rd in the 1990 junior race. Coming to Ragged from closer to home, Todd Callaghan (Beverly, MA) and Brandon Newbould (Nottingham, NH) will fly the flag for the home team and be eligible for $1500 in USATF New England Association Championship prize money. Both have a long history of solid results at mountain & trail races. Brandon finished 17th at the recent USATF Mountain Running Championships at Loon Mountain. At 48 years old, Todd has finished on the podium in several USATF masters mountain and trail championships. As of this writing, 46% of pre-registered runners are women, higher than the average for most ultra-distance trail races. 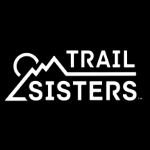 This comes on the heels of a successful Trail Sisters supported initiative to boost women’s participation at the Loon Mountain Race on July 8. Loon Mountain Race had a record 1000 runners; almost evenly split between men and women. For a comparison, the famous Ultra-Trail du Mont Blanc (UTMB) in Chamonix, France sees a field of just 10% women. For LIVE race day photos and updates follow @USAultrarunning on Twitter. Race start is an 7:00 AM on Sunday, August 12. A former software & operations executive, Richard calls Bend, Oregon home and explores mountains & trails every day. Richard also leads teams of elite American trail runners to World Championship events and is a brand ambassador for Salomon Running, Suunto & Atlas Snow-Shoe. to get more trail running & ultrarunning dirt! © 2019 American Trail Runner Association. All rights reserved.